Britain's Little Mix are an exuberant, all-female pop and R&B outfit who shot to stardom after winning the eighth season of The X Factor U.K. in 2011. Featuring the talents of singers Jade Thirlwall, Perrie Edwards, Leigh-Anne Pinnock, and Jesy Nelson, Little Mix grabbed audiences with their highly resonant vocal harmonies and charismatic stage presence; traits that helped lift their debut single "Cannonball" to number one in the U.K. They fared equally well with their 2012 full-length debut, DNA, which hit the Top Five in both the U.S. and the U.K., and spawned the number one British single "Wings." Subsequent albums like 2013's Salute and 2016's Glory Days have continued to garner chart attention while also showcasing the group's growing maturity and empowered personas. Initially surpassing the achievements of One Direction and JLS by becoming the first group to win The X Factor in the U.K., Little Mix were one of the few success stories to emerge from the competition's underperforming and controversial eighth season in 2011. Jade Thirlwall (who had auditioned for two previous series) and Perrie Edwards (both from South Shields), Jesy Nelson (from Romford, East London), and Leigh-Anne Pinnock (from High Wycombe) had all originally auditioned as solo artists, but like fellow acts Nu Vibe and the Risk, were put together as a group at the boot-camp stages. After impressing Jessie J and mentor N-Dubz's Tulisa Contostavlos at Judges' House, they made it to the live finals, where their engaging personalities, girl-next-door image, and contemporary song choices saw them outgrow their initial underdog status. Initially dubbed Rhythmix, the girls were forced to change their moniker in week four after it was revealed that there was already a Brighton-based children's charity of the same name. But following stellar performances of En Vogue's "Don't Let Go," Katy Perry's "E.T.," and Rihanna's "Don't Stop the Music," they beat the Conway Sisters and Hope's previous record to become the first girl band in the show's history to make it past week seven. After contributing to the high-profile M&S TV ad campaign and the finalists' charity cover version of Rose Royce's "Wishing on a Star," they eventually went on to triumph over Marcus Collins in the final. The 2011 debut single from Little Mix, a rendition of Damien Rice's hit "Cannonball," went on to top the charts but scored the lowest first-week sales by an X Factor winner since Steve Brookstein's "Against All Odds" (2004), and later lost the coveted Christmas number one spot to the Military Wives Choir. DNA, featuring the singles "Cannonball" and "Wings" (also a U.K. number one), was released in late 2012, and eventually became the U.K.'s highest-charting debut album ever by a British female group. In 2013, Little Mix returned with their sophomore album, Salute. Featuring production from such names as Future Cut, TMS, and Jimmy Jam and Terry Lewis, the album showcased a more mature, R&B-infused direction. 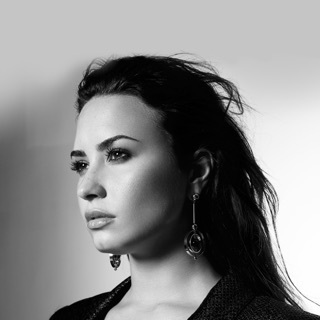 A string of U.S. dates in support of Demi Lovato took place in early 2014 before the summer brought their largest U.K. tour to date. "Black Magic," the first single from third album Get Weird, became the group's third U.K. number one in 2015. Around the same time, Britney Spears released "Pretty Girls," a single co-written by the group, which reached number 16 in the U.K. Get Weird followed later that year, peaking at number two in the U.K., and number 13 on the Billboard 200.